Bathco collaborates and maintains unique partnerships with a large community of Bath Material generators. We understand your specific needs and strive to always honor our relationships by not only purchasing your Bath at competitive prices but also accepting delivery of materials whenever it becomes available. Bath output is often difficult to predict, as a Bathco partner, your contract is always guaranteed. You can unload your excess Bath Material as necessary so that you can just concentrate on the business of producing aluminium knowing our team of professionals is available to you 24/7. In addition to purchasing all different qualities of surplus Bath Material, Bathco can offer you an all-inclusive solution to handle the processing of your Bath after tapping. 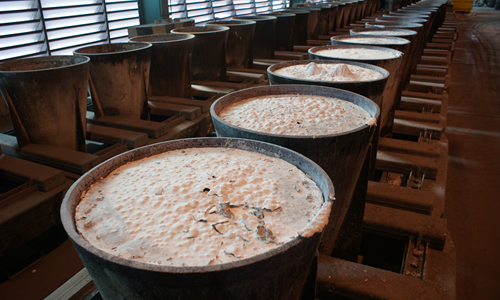 Bathco can process Bath Material on-site in your facility using Bathco personnel and equipment or provide processing support off-site at our facilities. We can process Bath to any specification required. This allows you the freedom to focus on your core competencies and streamline your operations by removing tasks that might absorb valuable in-house resources. For more information on our processing capabilities, please click here .